Mesotherapy consists in intradermal micro injections of biologically active substances into problematic areas. 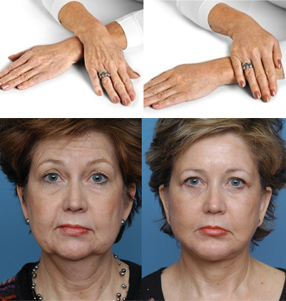 Mesotherapy will result in better skin metabolism. The skin will have improved elasticity and complexion, and increased moisture content. Mesotherapy is performed in facial, neck and décolleté area and in palms.